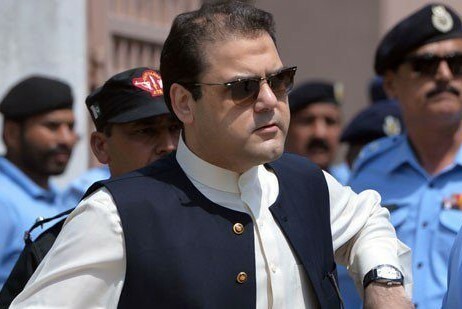 LONDON: Hussain Nawaz, the son of former prime minister Nawaz Sharif on Monday said that his mother, Kulsoom Nawaz, keeps asking him why Maryam isn’t calling her. “She is unaware that her husband and daughter are in jail,” Hussain added. Speaking to the media outside the Harley Street Clinic in London where his mother is admitted, Hussain said his father is allowed to call once every two weeks for a few minutes. Nawaz and Maryam are currently incarcerated at the Adiala Jail along with Maryam’s husband Captain (r) Safdar. They were sentenced to 10, seven and one year in the Avenfield reference. Hussain said that Begum Kulsoom is in the ICU and is able to speak but cannot sit up yet.